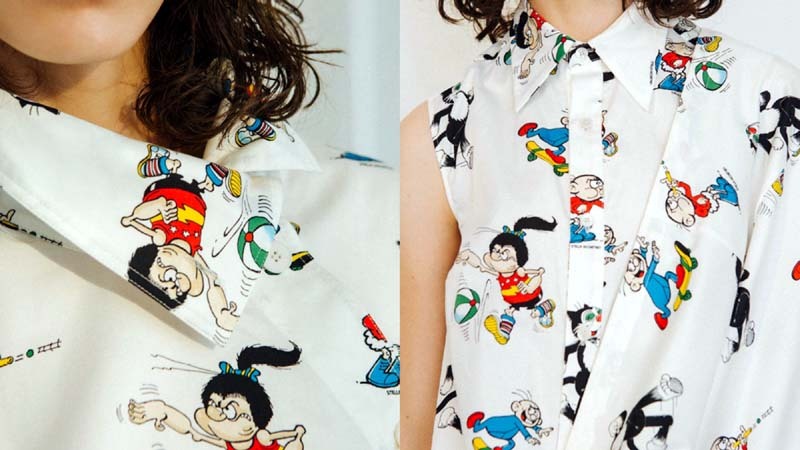 Stella McCartney has expanded her link-up with Beano Studios for a new collection of kidswear following the successful womenswear debut last year. The new pieces will feature Beano and Dandy comic favourites Minnie the Minx and Dinah Mo as well as Korky the Cat and Cuddles and Dimples. The Dandy women’s range last year sold well and made the most of the current strong trend for pop culture-inspired prints and graphics, as well as the ‘kidult’ strand running through adult clothing. The collection will launch in June for autumn/winter and will include 40 pieces from newborn up to age 14. It will be available from McCartney’s webstore and in selected physical locations, the Press Association reported. Her link-up with the Beano and Dandy brands follows a family tradition. Her father Paul has appeared in the very last issue of The Dandy in 2012 after having said as far back as 1963 that it was a lifelong ambition to appear in the comic.